As a partner with the Rockland Boulders there are countless opportunities to expand your audience and reach a new level of engagement with the community. To discuss partnership opportunities with the Boulders, please contact Shawn Reilly at sreilly@rocklandboulders.com or call (845)364-0009 for more information! As a partner with the Boulders your company will have the opportunity to expose your product or service through ballpark signage, print, and electronic media in various outlets. We take pride in providing fans with the ultimate game experience and creating a state-of-the-art ballpark is one of the many ways we achieve this. As an advertiser you will have the ability to reach an engaged audience in any number of our sign locations at Palisades Credit Union Park. Another great way to display your message is to place your message directly in the hands of your audience through our print publications. As a way to keep our fans as informed and entertained as possible we provide various sources of reading and exchange materials that are prime locations for your company's exposure. Our official Gameday Programs will place your ad in the hands of thousands of loyal Boulders fans as they read about the team and ballpark. 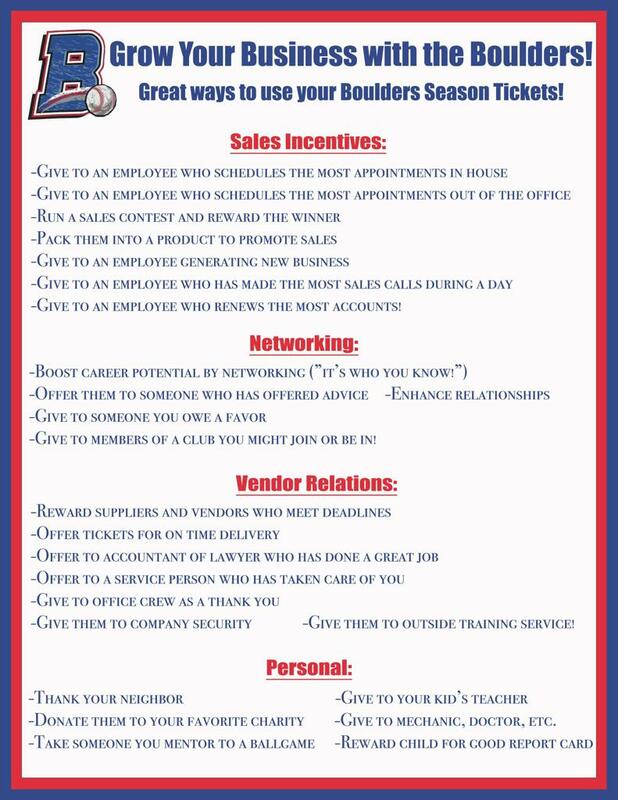 Placing your ad here will align your company with the excitement of Boulders baseball! Full-Page and Half-Page options are available. To keep our fans informed and up to date about Boulders games and events we print over 100,000 pocket schedules that are distributed throughout the year, allowing your company and message to be present with your prospective customers at all times. Multiple panel size options available. 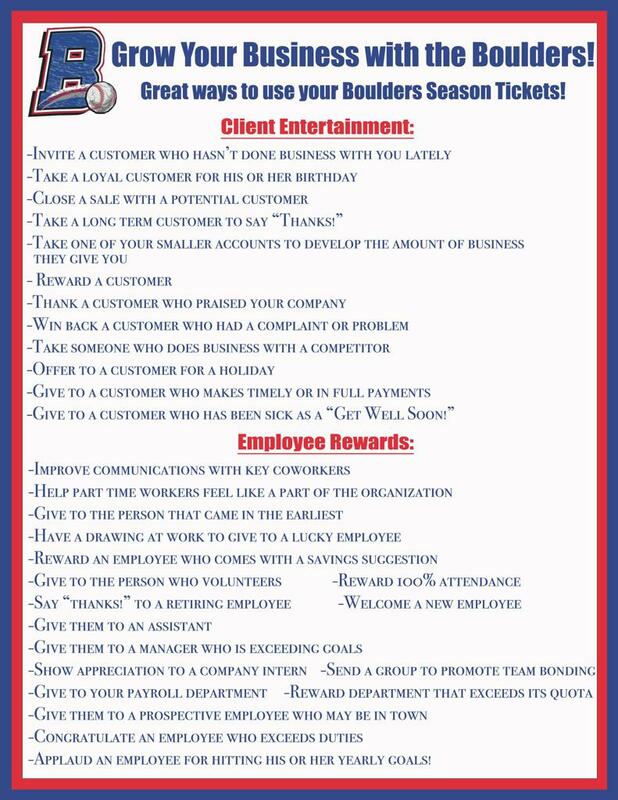 Every Boulders fan entering a game has a ticket, meaning every Boulders fan will see your company! Ticket space options include Box-Office Tickets, Season Tickets, eTickets, and Ticket Envelopes. Boulders fan engagement doesn't end at the gates of Palisades Credit Union Park. 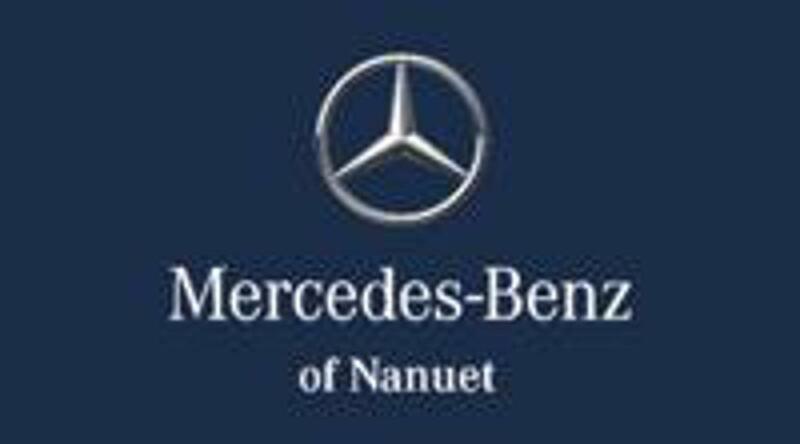 We extend communication with our dedicated fan base to the Lower Hudson Valley of New York, Bergen County New Jersey and beyond via electronic media outlets with opportunities for your partnership. These opportunities include our radio and online video broadcasts, team website, and e-newsletter. With all 55 home games and select road games broadcasted live, your company can reach the ears of our loyal listeners in New York and New Jersey on WBNR 1260-AM, WLNA 1420-AM, and WRCR 1300-AM. Available radio broadcast options include 3-commercials + feature, 2-commercials + feature, and 1-commercial + feature. As a member of the Can-Am league, Boulders fans are able to view all 55 home games for free from the comfort of their own homes if they are unable to make it out to the ballpark or on the road. Available online video broadcast options include season sponsorships, 10-commercial packages, and 5-commercial packages. RocklandBoulders.com is your pathway to new clients and customers who are constantly checking for the latest Boulder news. Our website was visited more than 400,000 times in 2014 and averaged upwards of 30,000 unique visitors a month during the season. Available team website advertising spots include Home Page 250x250, Home Page 208x70, Interior 160x600, and Interior 220x320. During the season our Boulders E-Newsletter is sent out almost daily to over 20,000 fans (more than 1.5 million impressions) around the New York Metropolitan area. This gives you the opportunity to have your company's name and message streamlined to potential customers. Available e-newsletter partnerships include full season partner, 10-send partner, and 5-send partner. Besides the exciting game action, we provide our fans with on-field, pre-game and post-game entertainment through our countless promotions throughout the year. Partnering with the Boulders and sponsoring promotions allows fans to associate your business with the captivating experience of a Rockland Boulders baseball game. By sponsoring a promotion your company will have the opportunity to associate your name and logo with any of our entertaining fan-involved games, activities and competitions that occur throughout our home games. Our game day entertainment starts and end with your brand. We start off by having your name announced and your logo shown on our video board and end with cool, fun prizes directly for you, allowing you to be in contact with fans from beginning to end. We frequently offer premium giveaways in various quantities throughout the season that our fans enjoy collecting as prized memorabilia. Whether it be a mini baseball bat, a t-shirt or another novelty item, sponsoring one of our giveaways will ensure that your brand is forever associated with positive and fun memories for all Boulders fans. The concourse and main gates of Palisades Credit Union Park are always lively before, during, and after games, making it the perfect location for you to distribute your product or promote your service to fans as they walk around the ballpark. Entertain your clients, prospects, employees or group by bringing them out to New York's premium entertainment value - a Boulder's game - for a major league experience at an affordable rate. Luxury suites are the perfect way to accommodate your premier clients or prospects with a private air-conditioned, fully furnished, viewing area. With an HDTV and your own outside private deck and seating, suites are perfect for viewing the game and having pleasurable business engagement. Catering options are also available and suites are open for pre-game meetings or presentations to ensure you make the best impression on your guests. Our suites are available in full and half season rates for 18-seat, 14-seat, and 12-seat boxes. All include 4 standing room tickets and a parking pass. Also available is our John Flaherty Suite which is filled with memorabilia from the career of former New York Yankee and Rockland Boulders Partner, John Flaherty. At the top of each section are our Loge Boxes which offer the perfect balance of a private sanctioned off entertainment area and excellent view of the game action. With a dedicated wait staff, catering and your company name over the box, your guests are sure to be impressed by the VIP atmosphere provided. Loge Boxes are available in half and full season rates for 10-seat and 8-seat sections. All include 2 standing room only tickets and one parking pass for full season only. Ask about any of our other specialty fan zones available for reservation including the Bridge Bar, Community Room, Dugout of Dreams, Party Suite, Picnic Area, Sunset Deck, and Short Porch. Being a season ticket holder means you and your guests have the ultimate flexibility to build a professional and casual relationship at any game on short notice. Mini-plans and Group Tickets are great ways to supplement your existing tickets for special events and additional needs. Season tickets are available in infield and outfield box seats for 55 games plus playoffs. Ticket Flex plans are available in 16-ticket plan and 10-ticket fireworks plan. All seats are infield box. Group ticket discounts begin at just 20 tickets and can include food and non-alcoholic beverages. Call - (845) 364-0009 for more information! Having raised more than $250,000 for local charities, the Boulders partner with Active International and for the Active International Charity Challenge, 501(c)3 organizations raise money and awareness through Boulders games by selling tickets with an opportunity to receive a share of the proceeds from the famous nightly 50/50 raffle. The Boulders and Active International of Rockland County match the money raised, up to $2,000 per event. The Boulders Community Fund is a broad-based community response fund that supports local non-profits and the work they do in the Rockland Community. The fund is supported through donations by the Boulders through proceeds from the 50/50 activities at every home game and donations from local businesses. "As a dealership who connects with Lower Hudson Valley and northern New Jersey consumers, our partnership with the boulders has been rewarding. The Ballpark has proven to be an engaging advertising medium with unique and effective marketing ideas and the team shares our vision of giving back to the community." "The Rockland Boulders won the 2014 Can-Am Championship through hard work, dedication and having the best players on the field. The same could be said about their management team, who has been fully engaged in our marketing efforts from generation to execution. This partnership has allowed us to grow the sponsorship and achieve results that almost doubled from the previous year." "A first-class operation. Their staff makes us feel like part of the team. They learned our business and sought out our objectives and met each one. The fact is, our local business was treated like a big league sponsor." "Some of our most important strategic meetings with colleagues and physician leaders now occur during a baseball game. Without a question - whether for our company picnic or entertaining guests, the entire Boulders' Organization exceeds our expectation every time! We are fortunate to have an organization of their caliber in our community."